Buy Metaphorosis a Coffee. ko-fi.com/metaphorosis - Ko-fi ❤️ Where creators get paid by fans, with a 'Buy Me a Coffee' button. 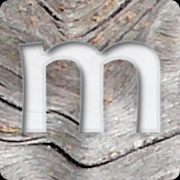 Metaphorosis is an online speculative fiction magazine, publishing original stories every Friday. We also publish the occasional anthology as well as reviews of current and classic SFF. We're published by B. Morris Allen, who occasionally writes some stories of his own. Secured Payments. Support goes to Metaphorosis's account. Upgrade Metaphorosis to a yearly Gold Membership with a one-time payment.